Eddie (Style Life Winnie Pooh X Witty Tootsie Medauslietus) was welcomed to our Hill Country Corgis family in July, 2017. Thank you Jessica Cavazos of Go Corgis for entrusting us with the care of this amazing stud dog. Eddie is a full import from Lithuania, and has a natural bobtail. His pedigree is filled with European champions on top and on bottom. We are pleased to introduce his European bloodlines in the United States. This boy has the sweetest disposition, and he loves to be the center of attention. He is a beautiful sable male dog. Sam (Star View's Maximum Overdrive x Genuwin Eve of Success) is our beautiful AKC red stud. Sam's sweet disposition is passed on to the puppies he has sired. DM Clear, vWD Clear, EIC carrier, D Locus clear. Max (Mr.Gator X Excaliburs Miss Chowder) is our upcoming stud for some of our females. 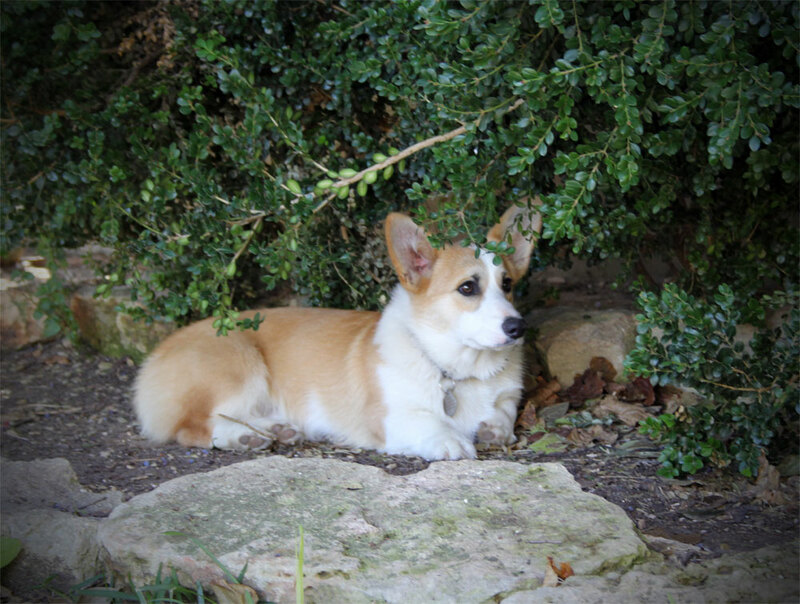 This guy has the most easy-going temperament of any dog we have raised here at Hill Country Corgis. Max came to us from Oregon as a puppy. He loves everyone! I am so pleased with the way Max is turning out, and I know his great, easy going temperament will be inherited by his puppies. Max is a sable full fluffy. Buck (Mad Max IV x Annie Mae II) is our AKC black-headed tri sire. He is a beautiful, well proportioned male. He has a very calm disposition, and is always eager to please. We have had him since he was a pup and have watched him grow into the handsome Pembroke Welsh Corgi we are proud of. DM Carrier, vWD Clear.